Welcome home to this delightful enclave in north St. Pete! This recently built townhouse in the gated community of Gandy Townhomes, is super clean and move-in ready. Enjoy beautiful features such as modern, European-style cabinets, stainless steel range, microwave, dishwasher, and granite countertops in the kitchen. Newer wood flooring runs throughout the living area on the main level. The entire interior has NEUTRAL PAINT and 2-in. faux wood blinds. This home offers a wonderful layout that includes a roomy upstairs master suite plus a great guest suite and a convenient laundry room. Other creature comforts of this incredible home include a WOOD DECK off of the living room, a backyard that backs up to trees and vegetation, and the community pool is right out your front door. 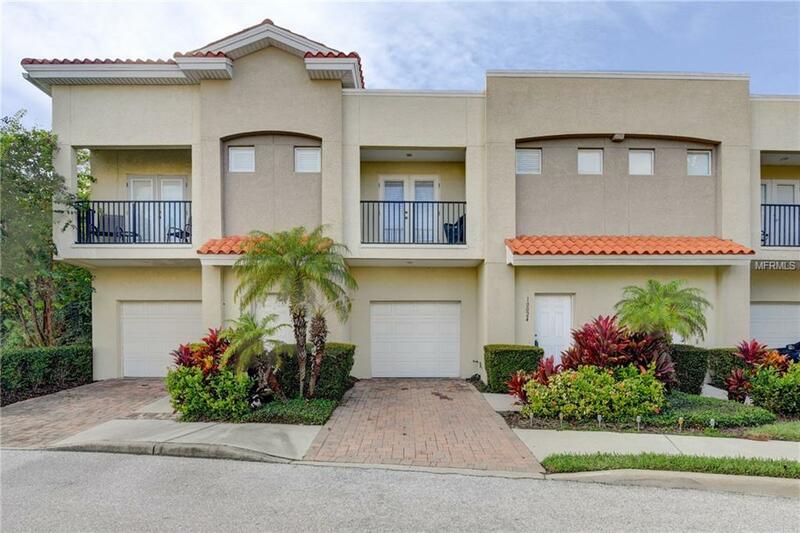 LOCATION IS KEY with this home being 1 of 44 townhouses in the gated community, convenient to shopping malls, world-class restaurants, St. Pete and Tampa airports, and the gulf coast with miles of breathtaking beaches. This home delivers the fantastic, care-free Florida lifestyle.